Are you looking for a powerful cancer fighting food? Tiny single cell organisms known as spirulina,were designed by nature 3.6 billion years ago. Spirulina generated the oxygen we have in our atmosphere and created an environment that allowed all higher forms of life to evolve into the rich diversity we find on earth today. Just think what it would mean to capture the energy of this food in your body and free yourself or someone you love from the threat of disease. Spirulina is in the highest order of superfoods. It contains one of the most remarkable concentrations of nutrients known in any food, or herb. Spirulina is 60 percent highly digestible vegetable protein, and contains a huge concentration of beta carotene, vitamin B-12, trace minerals, and the rare essential fatty acid GLA, missing in people who were not breast fed. Spirulina is rich in polysaccharides, another name for essential sugars sometimes referred to as glyconutrients. It has a balanced spectrum of amino acids, cleansing chlorophyll, and the blue pigment phycocyanin with tremendous antioxidant, anti-cancer, and anti-inflammatory properties. As a superfood, spirulina has stood the test of time. The Aztecs consumed spirulina in Mexico over five centuries ago, and indigenous people regularly consume spirulina today. For the past 25 years, millions around the world have used spirulina as a food supplement to their diets. The United Nations and the World Health Organization recommend spirulina as safe and nutritious for children. Its safety is based on the fact that it can be cultivated in a pure hydroculture, away from contaminants. Spirulina offers incredible potential for a world in the midst of a food crisis, providing more nutrition per acre of cultivation than any other food. Spirulina delivers 20 times more protein per acre than soybeans, and 200 times more protein per acre than beef. When we make the decision to incorporate spirulina into our diets, we become part of the food crisis solution. Spirulina works against cancer and to restore health in many ways. Its rich array of nutrients provides a strong foundation that makes us less vulnerable to invading bacteria and viruses. From the water in which it grows, spirulina naturally absorbs and chelates many ionic trace minerals, creating a colloidal form of minerals easily absorbed by the human body. Spirulina helps balance and stabilize the immune system, the foundation of our health. Immune system stress lowers metabolic energy, creating a downward health spiral. Spirulina combats this stress by freeing metabolic energy for vitality, healing, and the assimilation of nutrients. Its polysaccharides enhance cellular communication processes and the ability to read and repair DNA. People with immune system imbalances often feel chronic fatigue and low mental and physical energy, whereas people taking spirulina tend to feel greatly energized. Spirulina further stimulates the immune system by enhancing the production of antibodies and cytokines. Under the influence of spirulina, macrophages and T and B cells are activated. Spirulina’s sulfolipids have been proven effective against HIV, herpes virus, cytomegalovirus, and influenza virus. Spirulina contributes to the growth and preservation of the friendly bacteria that inhabit our intestinal tracts and jump start our immune systems, especially lactic acid bacilli and bifidobacteria. Phycocyanin is a pigment protein that give spirulina its unique color and is believed to the source of many of spirulina’s positive actions. Research into these actions is still fairly new, and most involves the use of mice or rats as investigatory models. 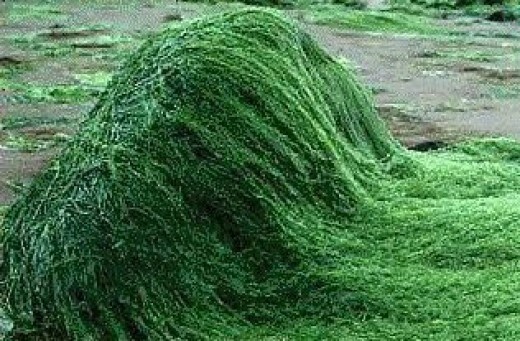 Spirulina has shown the ability to prevent genetic mutations. Loss of genetic integrity was greatly reduced in spirulina fed groups. In another study, massed cells in the ovaries were decreased with the use of spirulina. A polysaccharide fraction from spirulina was found to enhance immune response through enhanced production of the immunoglobulin IgA, interleukin-6 and interferon-gamma. Another study found spirulina increases immunity through increased phagocytic activity of macrophages, stimulates production of antibodies and cytokines, increases accumulation of NK (natural killer) cells in tissue, and activates and mobilizes T and B cells. Carcinogenesis is further inhibited by the antioxidant properties of spirulina that protect and reduce toxicity. Spirulina plays a role in reducing the toxic effect of cadmium, a component of cigarette smoke, through its antioxidant properties. Another study found that spirulina reduced oxidative stress and the generation of free radicals in the course of inflammatory processes, resulting in the appropriate and timely death of cancer cells (apoptosis). Spirulina has been found to protect the liver. In a recent study, researchers divided mice into three groups: one fed the standard American diet, another fed a protective control diet that included the a potent chemical antioxidant BHT, and a third fed a protective diet supplemented with spirulina. After one week on the diets, the livers of the mice were intentionally injured. Those on the spirulina supplemented diet were found able to recover from their injury. In another liver study, the effect of spirulina against induced liver toxicity and the initiation of cancer was investigated. Scientists found that incidence of induced liver tumors was reduced from 80 percent to 20 percent in the group receiving spirluina. Treatment inhibited cell proliferation and increased the expression of anti-tumor genes while reducing the expression of tumor promoting genes. Adding spirulina to your diet results in almost immediate change in regularity and elimination. Spirulina suppresses unfriendly bacteria like E. coli, and stimulates beneficial bacteria, which are the foundation of the immune system and the basis of good health. Friendly intestinal bacteria increase absorption of nutrients from foods and protect against infection and cancer. Researchers in Japan found that spirulina significantly reduces kidney toxicity caused by pharmaceutical drugs. Other research found that rats consuming spirulina eliminated dioxin, a deadly chemical found in white paper products such as toilet paper and paper towels. In 1994, a Russian patent was awarded for spirulina as a medicinal food to reduce allergic reactions from radiation sickness. It significantly improved the symptoms of patients with allergic rhinitis compared to a placebo, including nasal discharge, sneezing, nasal congestion and itching. The nutritional punch that comes from spirulina brings benefits throughout the body. Researchers in India have documented the protective effect of spirulina against osteoporosis. and its ability to treat hyperglycemia and excess fat in the blood (hyperlipidemia). Scientists around the world have confirmed spirulina’s cholesterol lowering benefits and its ability to lower blood pressure. Studies with men in Japan and India showed that several grams of spirulina daily can reduce serum LDL and raise HDL. Human studies in Germany and India found a weight reduction effect along with cholesterol reduction in those who consumed spirulina. Triacylglycerols were also directly lowered. Reduced systolic and diastolic blood pressure was reported. The effect of spirulina supplementation on exercise performance, metabolism, and blood at rest and after exercise was also studied. Researchers found that 6 grams of spirulina taken daily for 4 weeks induced a significant increase in exercise performance and glutathione concentration. Spirulina is protective of the cornea. Researchers in China found that polysaccharide extract from spirulina is a potent inhibitor of corneal vascularization and it may be of benefit in the therapy of corneal diseases involving neovascularization and inflammation. Spirulina is available in tablet and powdered form from most online health retailers. Quality varies in direct relationship to price, but good quality spirulina is highly affordable. Spirulina is a dry powder with a fairly bland taste that can be added to juiced vegetables and fruits. But spirulina does not give up its dry state easily, so probably the best way to take it is in a smoothie made in a blender. Make a morning smoothie by blending a scoop of spirulina with 2 cups of fresh fruit. For extra flavor and nutrition, add nuts or sunflower seeds. For more flavor, add a dash of vanilla or squeeze in a fresh lime. Barbara is a school psychologist, a published author in the area of personal finance, a breast cancer survivor using “alternative” treatments, a born existentialist, and a student of nature and all things natural. Chief Editor Health Secrets. Tagged cholesterol, detox, digestion, eye health, heart disease, immune system, spirulina. Bookmark the permalink.